Hello. Today I will tell you how to quickly and easily remove red eyes from your photo using the built-in application on your iPhone or iPad. 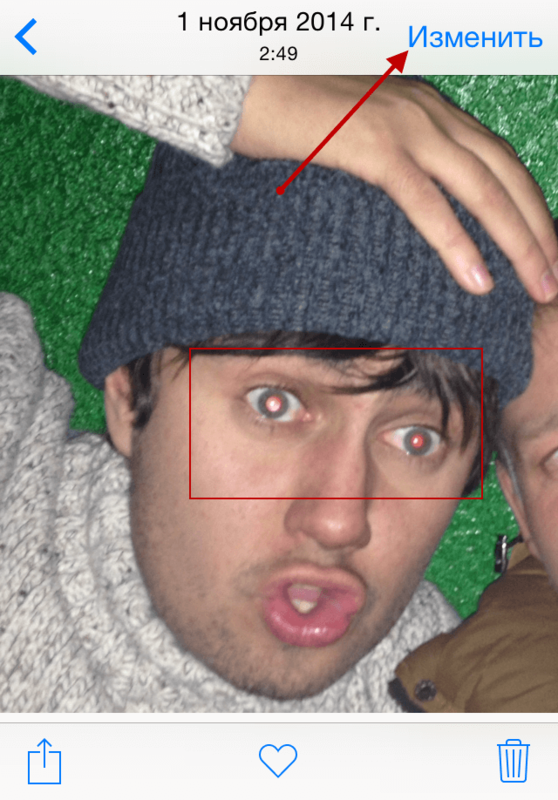 Red eye sometimes appears on some photos. There are a lot of tools for removing red eyes, but we will use the built-in iPhone and iPad. So let's get down to the lesson itself. Let me remind you that you do not need to download anything, all the tools are already in your mobile gadget. The only thing you need is a photo that has a face with red eyes. Launch the application with the name of the photo on your mobile device iPhone or iPad. Next, you need to select photos in which there is a face with a red eye. 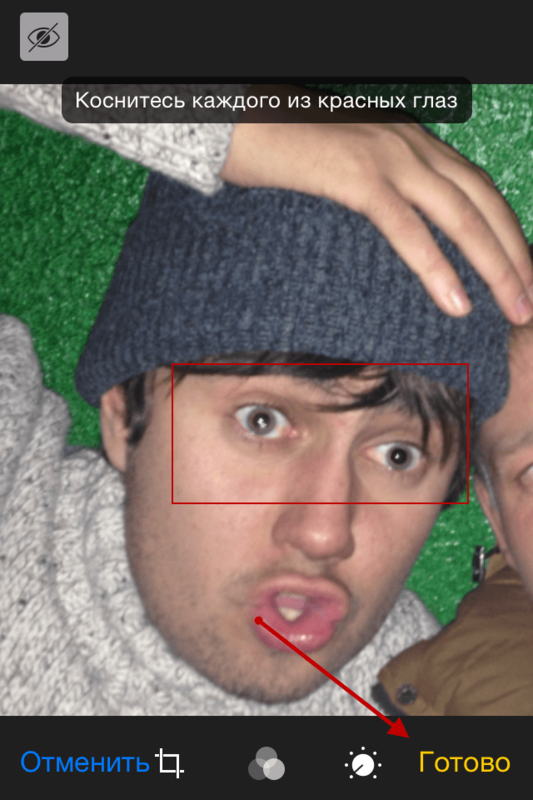 When the photo with the red-eye effect opens, you need to click on the “Edit” button, this button is located in the upper right corner of the screen. The photo editing mode will open, in order to remove the red eyes on the photo, click on the icon with the crossed eye, this icon is in the upper left corner. Now for the removal of red eyes you need to tap (click) on each eye. After that, the red will be removed. After all the above operations, you will only have to save the photo, to do this, click on the “Finish” button. The photo will be saved in your photo gallery on your Apple iPhone or iPad device. Similarly, you can remove red eyes from all your photos. Today, this is all, I hope this small note helped you and you were able to remove red eyes from your photo.. I would be grateful if you leave your opinion on this small note. In order to leave a comment, you can use the comment form below. 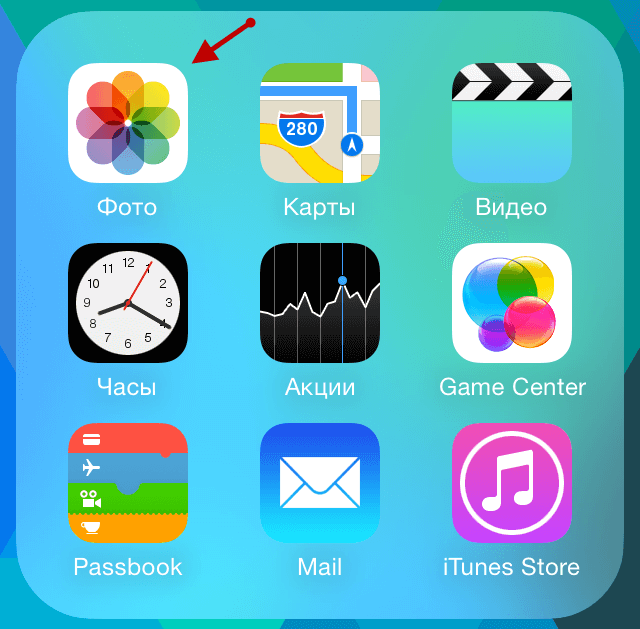 Before commenting, you need to log in to the social network Vkontakte.